On the two days prior to the TD Five Boro Bike Tour, cyclists from across the country and around the world roll through to meet, greet and talk shop with one another and 100-plus exhibitors, from big brands to local innovators. There’s truly something for everyone. Check out the latest in state-of-the-art gear, plus merch, product demos, giveaways, panels, contests, entertainment, food, and more! Free and open to the public. We are proud to present the inaugural Los Angeles Mountain Bike Expo 2019. 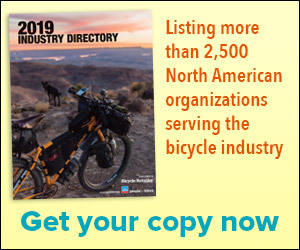 It’s a trade show for the mountain bike, electric bike, gravel bike and fat bike industries and will be open to the public. The event will be held at the world famous Fairplex in Pomona, California. The latest in bike technology, equipment, gear and services will be featured along with special guests and performances. Certain bike manufacturers will offer demo bikes that can be test ridden at nearby trails. Shuttle vans will be provided. Roam Bike Fest is a three-day gathering (aka party) of female riders, influencers and play makers all here for one purpose: to have a ridiculously fun weekend exploring, learning and shredding trail in a world-class riding destination/ No pandering, no skills clinics, just plain unsucky fun. Join us as we celebrate our 24th year of this Colorado mountain bike tradition: the US Bank Fruita Fat Tire Festival presented by the City of Fruita. Meet MTB friends from around the world and support those who support the passion, the lifestyle and the sport we all enjoy. Celebrate hundreds of miles of world-class MTB trails and join in the fun! Test out the latest bikes at the bike demo at the 18 Road trailhead, try out new equipment at the Product Expo in downtown Fruita, and listen to live bands Friday and Saturday evenings under the summer stars. Bespoked is a U.K.-based public event promoting the international talents of independent makers and designers of the bicycle world. This is the place for the public, industry and press to meet independent makers and designers of everything bicycle.Bespoked is primarily a celebration of handmade bicycles and those who make them. If you are involved in the making of custom handmade bicycles, then Bespoked is for you. Alongside the bicycles, makers of fine components, apparel and accessories are also welcome to show at Bespoked. The most unique cycling event in the country, the Canyon Belgian Waffle Ride, is back for its eighth edition of pedaling perversity. Created as an extremely challenging cycling event in the spirit of the great one-day spring classics of Belgium, the Canyon Belgian Waffle Ride (BWR) will return to North County San Diego on May 5, 2019. There will also be a shorter and only half as painful Belgian Wafer Ride, as well as a NEWLY envisioned Canyon Pure Cycling Expo Festival. On Friday, May 3, a VIP event will be hosted at Canyon Bicycles in Carlsbad, California. The 40-mile, car-free Tour begins in Lower Manhattan (the start line is at Franklin Street and Church Street) with entrance points for each of the four start waves running south along Church to Battery Park, heads north through the heart of Central Park, and continues on to Harlem and the Bronx before returning south along the East River on the FDR Drive. China Cycle gathers all the international and local market leaders from the industry, displays products — from components to manufacturing equipment — addresses all important target groups, and creates the best communication and business environment. At China Cycle, visitors can learn new market trends and the latest in industry competition, attend seminars, meet key industry players and talk about new purchasing planning.